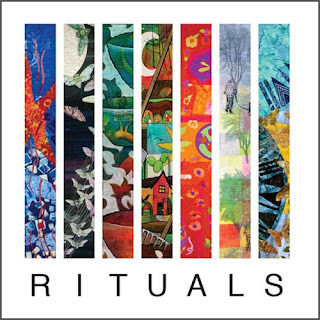 Dinner at Eight Artists presents "Rituals" - a special exhibit at the International Quilt Festival in Long Beach, CA (July 26-29) and sponsored by Moore's Sewing Centers. An exchange between friends. A handshake. A kiss before bedtime. The artist at work. A sun salutation. The wave before boarding the school bus. A song, a word, a meditation. A habit, a custom. The traditional toast at a gathering. A rite of passage. The sacred moments of the ordinary. Rituals: What are yours?